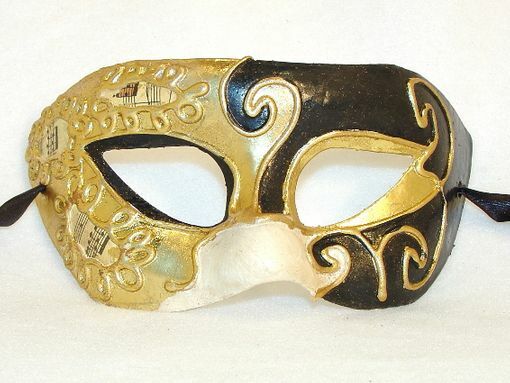 Traditional Venetian hand made paper�mache mask decorated with sheet music, faux golden leaf and acrylic colors. Perfect as a part of Carnival, Halloween, Masquerade, or Mardi Gras party costume or could be an amazing addition to your collection. Mask has two ribbons for wearing but also designed to be hung on the wall.